We are an Islington school with strong ties to our local authority and the schools around us and, alongside them, we wish to extend the opportunities for children to experience new and interactive ways of learning. 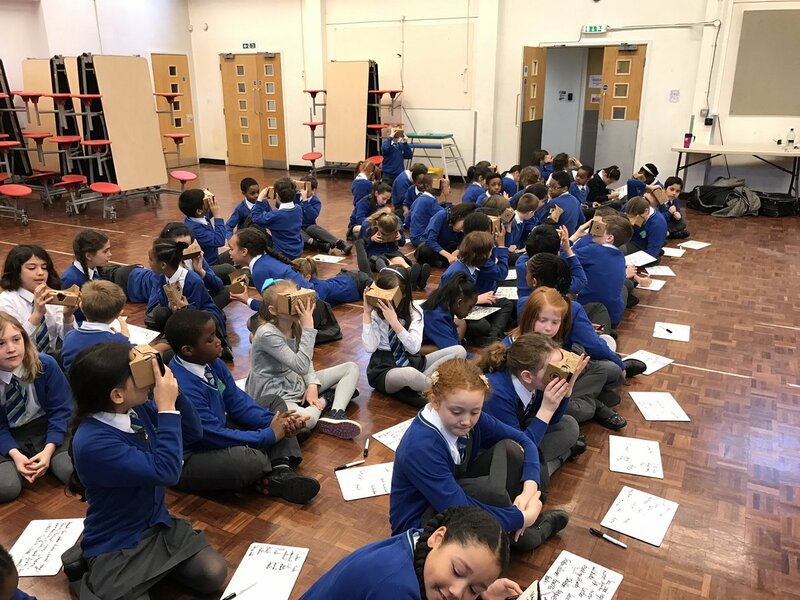 We believe that every child has the ability to achieve with the right stimulus and that the use of Augmented and Virtual Reality within the curriculum and across the whole school would enthuse the learning for many. Pupils at St. Joseph's Catholic Primary School currently have not seen the application of V.R. in the classroom so we would love to be able to offer them a range of technologies as they move through the school. 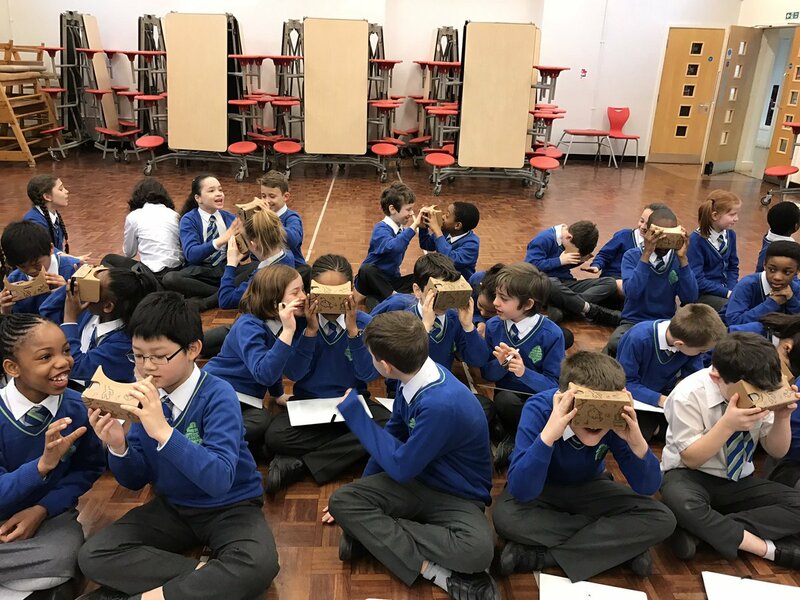 Our children have experienced a one-off 30 minute session using Google Expeditions and this enlightened and inspired everyone at our school (see the pictures above!) . We have a very focused and large group of digital leaders who take charge of delivering computers and supporting the learning of the lower years on a regular basis along with an active Code-club which we would like to use to filter the learning around the school. 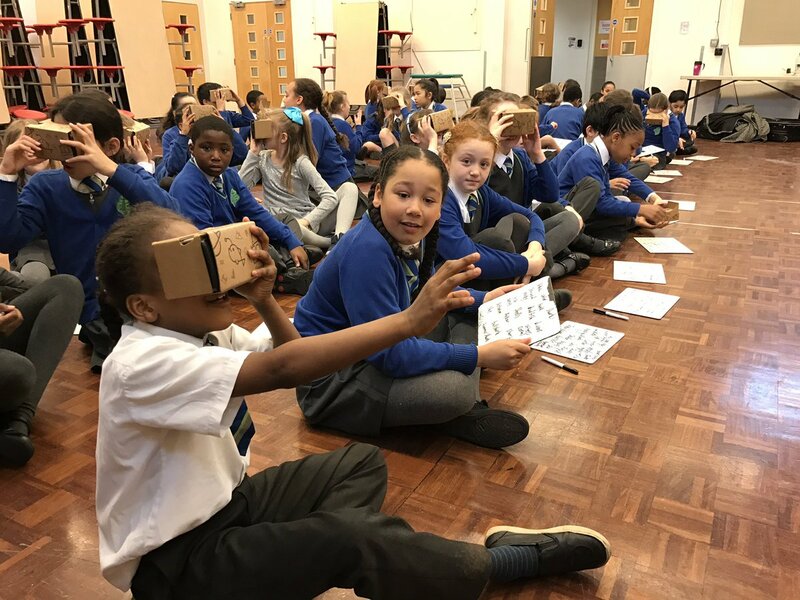 We want to truly embed virtual reality across our curriculum as we know the benefits for our children's motivation, enthusiasm for learning, creative writing and unattainable experiences will be exponential. Not to mention how FUN they are! The school takes pride in its ability to ‘umbrella’ it's knowledge around the school and our Code-club has worked alongside B.T. recently to begin building up a bank of resources and lessons that can be shared amongst the Borough. Linking this technology with projects from other schools, such as Newington Green, would really allow us to get the most out of the money spent and offer the greatest range of learning opportunities. The pupils at St. Joseph's Catholic Primary School range in age from two to eleven years and a large proportion of them, as is common around the Borough, do not speak English as their first language. Additionally, many of the pupils may not have access to the sights and sounds outside of their immediate locale and we are located in an area with a high level of deprivation. This means that for many, the external learning opportunities can be limited and, we believe, that access to the A.R. and V.R. technology would open the door to the ‘life-experiences’ that many of us take for granted. We, the pupils and staff want to buy a set of iPod touch (ideally 10 for a class of 30). Alongside this, we would like a set of 10 V.R. goggles and 10 Bluetooth controllers to be used in conjunction with the iPods. Our final purchase would be a multi USB charger to enable the devices to be charged safely in a classroom environment. Personal recognition via social media and the school newsletter.